If you’re like most people, you work hard for the things you need: a roof over your head, food and clothing for your family, and maybe a little extra set aside for a rainy day. A serious personal injury can take all of that in an instant. When that injury is the result of another person’s negligence, the civil justice system offers you an option to get the help you need. At the law firm of Cunningham & Mears, our Oklahoma City personal injury attorneys are dedicated to helping the injured. We understand that you face significant pain, loss and mounting bills after being in an accident caused by someone else’s negligence. 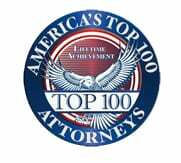 Our attorneys work tirelessly to help you win the highest possible award to compensate you for your losses. Car accidents. In 2016, there were 624 fatal motor vehicle crashes, and drugged driving has increased by more than 120% in the last two years. If you were hurt by another driver, we can help you protect your future. Collisions with uninsured motorists. 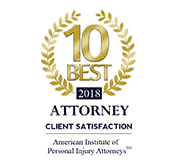 The law says you have to have insurance – but not everyone follows the law, and sometimes the minimum amount won’t suffice when it comes to a serious injury. When this happens, we work with your insurer to get you the compensation you need to fix your vehicle and recover from your injuries. Commercial truck crashes. Big rigs, tractor-trailers, semis, 18 wheelers: whatever you call them, they are all over the roads here in Oklahoma. We handle complex claims rising from serious truck crash-related injuries. Motorcycle wrecks. Unsafe highways, reckless drivers and defective part can all cause serious accidents. Bikers don’t have the same level of protection, which means their risk of serious injury is greater. We can help you if you’ve been hurt on a motorcycle. Ridesharing vehicle collisions. Uber, Lyft and TRIDE have changed how we get around. But what do you do if your driver gets into a wreck while you’re in the car? Our Oklahoma City rideshare crash lawyers have handled these complex cases before, and can guide you through the process of making a claim for compensation. Pedestrian and cyclist collisions. Drivers are supposed to give pedestrians the right of way, and to treat bicycles like they would any other vehicle. All too often, though, distractions and a general disregard for the rights of cyclists and pedestrians leads to catastrophic or deadly collisions. Whether you were walking, riding your own bike or making use of the Spokies, we can help. ATV accidents. People who are hurt in ATV accidents can face life-altering injuries, like brain trauma, paralysis, or even the loss of a limb. If you or a loved one has been seriously injured on or by an ATV, let us help you. Public transportation accidents. OKC is home to three airports, the famous Sant Fe Depot, the Oklahoma City Streetcar, the ferry, and the award-winning EMBARK bus lines. We have a lot of ways to get around. If you get hurt using public transit, how you file a claim will be different than if you were hurt by a private citizen. A good lawyer can go a long way in being successful. After an accident, your insurance company might try to lowball your settlement, or delay your claim. We put our tough negotiation skills to work for you, so your wreck is valued fairly, and your compensation is just. If the company won’t play ball, we are prepared to take your case to court. 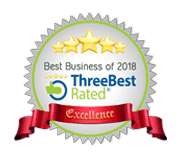 If you’re having difficulty collecting workers’ compensation, we can point you in the right direction there, too. News 4 reports that “One in six Oklahomans is supported by the energy sector.” The oil fields play a critical role in our state’s infrastructure and employment – but that doesn’t mean they’re safe places to work. Oklahoma just experienced its deadliest explosion since Deepwater Horizon in 2010. Five people have been declared dead. Our firm is founded on good communication. 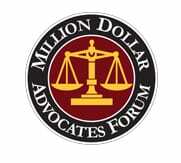 We keep you informed throughout your case to ensure we are working toward your personal goals. Our partners communicate constantly in order to put more than 50 years of combined legal expertise to work for you. When you contact us for a consultation, you meet directly with our partners, not a paralegal, associate or legal assistant. 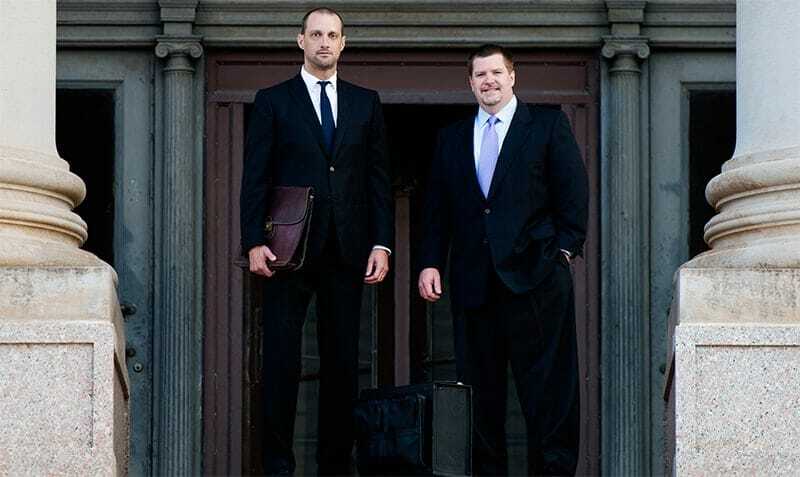 Our personal injury attorneys do not answer to anyone but you. At Cunningham & Mears, our goal is not to maximize our legal fees, but to restore you to as close a position as you were before your accident. Sometimes all you need is help getting a medical provider — not an attorney — and we promise to let you know if this is the case, or if you need aggressive representation in court. 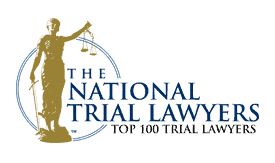 As highly successful personal injury attorneys, we take pride in being selected for membership in prestigious organizations such as the Top 100 Lawyers of The American Trial Lawyers Association and the Million Dollar Advocates Forum. To learn more about our successful results, see our verdicts and settlements. Above all, we want you to feel comfortable with making decisions that are right for you. A lot of folks we have worked with don’t really want to go to trial; they just want what’s fair – either from an insurance policy or program they paid into, or from the party who caused them to lose time at work. Sometimes, though, that is the best option. That is why we prepare every case for litigation: if negotiation just won’t work, then we will fight to uphold your rights. At Cunningham & Mears, we are dedicated to helping injured people throughout Oklahoma. We offer flexible office hours by appointment and can come to your home or the hospital if you are too severely injured to come to us. We are conveniently located across the street from the courthouse in downtown Oklahoma City and offer free valet parking. 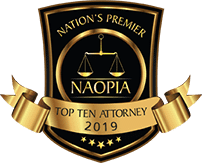 To learn more about our exceptional personal injury representation, contact us or call 405-212-9234 any time to schedule a free initial consultation. Our professional answering service ensures you’ll always be able to reach live help.